The Solar Direct offering is now closed and is no longer accepting investments. Solar & Storage, on Steroids! "Solar Direct helped launch the solar industry over 32 years ago, expanding into a full service Solar EPC (Engineering, Procurement, and Contracting) Enterprise - a distinction and advantage most competitors don't enjoy, since they must outsource the engineering and/or contracting to third parties. We provide solar electric & thermal products primarily to the residential & commercial markets. Our other unique feature is the combination of EPC with a robust ecommerce store, which drives substantial national traffic to both profit centers. " "We saw a disruption coming - for the past year we have been developing a unique innovative business strategy which we believe could capture a significant share of the solar & energy storage “Gold Rush” utilizing our Solar-to-Scale Accelerator plus Solar Buyers Club Platform. Discover how you can join in! " Solar & Storage is the Solution, and EVERYONE wants it! Own The POWER. Grab Great Perks. Control your ROI. $0.50/share of Preferred Class B Units│Minimum Investment $100. When you invest you are betting the company’s future value will exceed $7.1M. When you invest, you can receive a Free Membership in the Solar Buyers Club, Gift Certificates at our online store, and more. See complete details in Terms Section below. So... Why Doesn't Everyone Have Solar Power? I don’t need to tell YOU that there is a crisis: environmental, climate, dirty energy – all serious global issues. The obvious answer is clean, renewable solar power, but currently it is still just too expensive for most people. If you shop for solar in today's current market, you end up with a finance payment around $150 [or more] just to save $150 per month on your electric bill – not very compelling, is it?
" Going green with solar is just a trade off of payments - and while it's a good thing for the environment, it is not currently a strong motivator for most consumers. Now that's about to change... "
There are lots of companies selling solar solutions right now... so why isn’t it mainstream? Solar Module prices have fallen sharply - so why can’t they sell systems for less to make it more viable for home owners and small businesses? Our 32+ years experience in the market tells us that the solar industry has inherent flaws which have been holding back explosive growth. There is little doubt that new cutting edge technologies will help further reduce the price, and we will use technology innovations as they come to market – but lower hardware costs are no longer the big roadblock, and will not be enough to bring solar to the masses.
" We believe new energy technology cannot innovate its way to global solar adoption; it's not just the science that must evolve...obsolescence along the entire value chain must also be modernized - that's what our new platform can achieve. " We have developed a radical new initiative, a Solar-to-Scale Accelerator, a unique Innovative Business Strategy which utilizes both solar and battery storage disruption. We believe Solar Direct is uniquely positioned to lead the industry and bring Solar & Storage to EVERYONE in the U.S. The Solar & Storage Disruption "GOLD RUSH"
Tony Seba, a well respected Industry Analyst, has identified 4 emerging disruptive technologies – and two are in alignment with Solar-to-Scale’s business strategy: Solar and Energy Storage. Seba demonstrates that all “Disruptive Technologies” follow an S-Curve, where growth is slow for a long period, and then at a tipping point, suddenly rises sharply, as it overcomes the previous paradigm. Based on Tony Seba’s perfect world prediction, solar will be 100% adopted and provide nearly all of the world’s energy needs by 2030; however, we believe that the restrictive limitations in the present industry model may not reach that goal until after 2050. Seba also points out that Business Model Innovations are just as important as technology improvements in any disruption. Kirk Maust and Jason Tomczyk are co-founders of the Solar–to-Scale Accelerator, a business strategy that we believe is positioned to significantly disrupt the global energy disruption now. They believe that Solar-to-Scale will solve the restricting limits of real-world solar scalability. By aggressively removing barriers within the value chain their accelerated S-curve now exceeds Seba’s forecasts. We are fast approaching the cusp, the tipping point, where growth is about to explode - and the Solar-to-Scale Accelerator is being developed to capitalize on the opportunities presented by the coming Solar & Storage Disruption "GOLD RUSH". The U.S. is the second largest consumer of electricity. According to SEIA, 2016 was a record breaking year for the Solar Industry, commanding the largest share of capacity additions across all fuel types; the energy market for residential solar in the U.S. alone was $8B(pg 77). 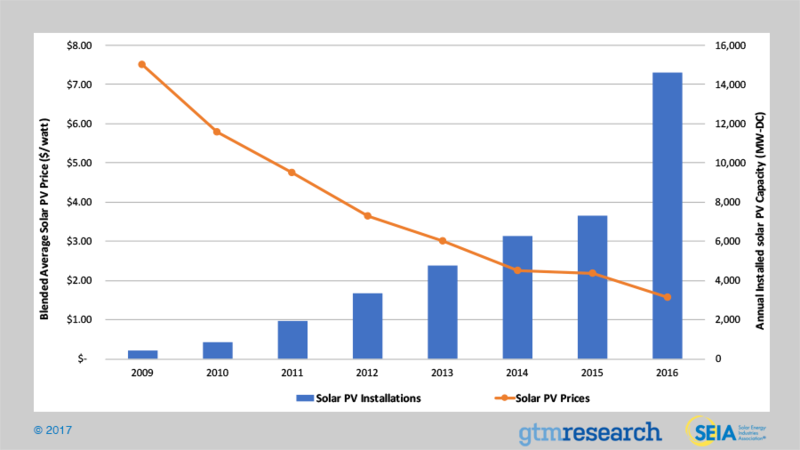 According to Tony Seba, solar will continue to double each two years, so by the year 2020 the industry should have a market value of approximately $32B. The Battery Energy Storage market is fast becoming equally as big, and Solar Direct believes it can capture a significant market share of both with it’s unique business strategy. What is our Solar-to-Scale Accelerator? The “Solar-to-Scale Accelerator” is the “thing” that causes our growth to happen or develop more quickly. It is a term we coined to represent our unique innovative business strategy which is built around the concept that in order to rapidly bring solar to the marketplace on a large scale, we will use a combination of out-of-box, cutting edge and forward thinking methods to “accelerate” the existing growth curve of the technology and its adoption by consumers beyond the traditional industry methods. Deliver solar technology that is cutting edge; develop & source highest efficiency components as they come to market. Reduce exorbitant lead generation costs with our Solar Buyers Club (SBC) – Customer Acquisition Engine. Eliminate the need for “In-Home” high pressure high paid sales people; using instead our tiered affiliate network. Add SBC Members together in groups to create bulk purchasing power. Make marketing costs nearly vanish as we utilize social media and community sharing to inform others. 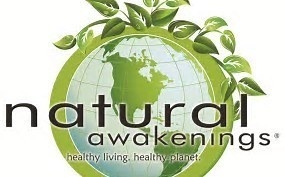 Target a broader demographic – new lower pricing will allow more people to enjoy free energy. Evaluate each step of the process; find new innovative ways to cut and control costs such as engineering and permitting. Avoid and cut out all the middlemen in distribution; make bulk purchases direct from factories. Make the customer experience enjoyable, fun and rewarding. Our unique selling proposition provides consumers the ability to pay dramatically LESS for solar than the status quo of paying the Power Company – offering them the possibility of significant positive cash flow plus the other great benefits of going solar from day one. We believe it’s no longer a matter of being able to afford solar, now you can’t afford not to go solar. The strategy is achieved by leveraging all aspects of the supply chain – factory to consumer. We achieve cost savings at every level to make possible a price point which opens the ability to “go solar” for the majority of homeowners and small businesses. We’re also rolling out multiple innovations to capture more market share, such as our proprietary gamification software which will simplify and revolutionize the way solar is purchased plus make it a fun process for consumers. The consumer-centric Gamification Software is in early development stage, and will aim to apply best practices from online shopping in other industries to the solar shopping process to lower customer acquisition costs and the price of solar systems. The approach focuses on the development of scalable online tools that facilitate consumer decision making, while streamlining the sales process, through a combination of information technology and process optimization. The consumer will be able to use an online platform to determine their system size and needs, create an engineering design, select hardware and options, determine the actual installed price and financing options; then be involved throughout the permitting, scheduling and installation phase; and finally interact to inform others within their social network spreading the word about solar and The Solar Buyers Club. Users will be rewarded throughout the process to keep them engaged and incentivized. Extremely unique within the green industry, we are vertically integrated within the Solar Energy solutions market. Our “one stop shop” approach gives us total control over our product and our pricing, and gives our customers a single, unified resource for all of their solar energy needs. The synergy between our online and physical services further streamlines the process and keep our quality of service high and our cost to customers low. We couple our lean business model with the Solar Buyers Club, a tiered affiliate marketing plan which uses social media and grass-roots people-power to capture a new wave of entrepreneurial spirit – we believe that average people can tap into the greatest transfer of wealth in history. Members (individuals, groups and businesses) earn cash rewards for spreading the word about the advantages of solar. Energy has been controlled by a small group of wealthy power companies until now – our model helps to rapidly transfer the electric power, and the money that goes along with it, directly into the hands of the consumers via roof-top solar! As other solar providers feel the constraint of inefficient customer acquisition challenges, we believe that Solar Direct will be uniquely positioned to put the POWER back in your hands, literally. This campaign allows you the opportunity to help perpetuate Green Energy Nationwide, and become an integral part of the impending Solar Age. All that’s missing is YOU. Perks* that Keep on Giving! With a FREE Solar Buyers Club (SBC) Leader Membership, you will have the opportunity to simply show other people the obvious benefits of Solar Energy solutions at this unprecedented price point. When they see the light, you see a Bonus check for helping us spread the word. This gives you the ability to indirectly control your own R.O.I. and be an active part in the Solar Revolution! Plus receive Gift Certificates* for renewable and solar products at our online store The Energy SuperMarket. We've worked with the BEST!! From NASA to Habitat for Humanity, and everything in between, Solar Direct is proud to have served Government Agencies, Educational Institutions, Commercial, and Residential Solar Customers. We directly employ over 15 people, with extensive experience in the renewable energy industry going back thirty-two years. Our Solar Buyers Club affiliate network already has hundreds of members and leaders from the beta soft launch in April 2017. Our customer base has reached over 85,000 people, growing approximately 10% per year with growth expected to explode soon! SOLAR DIRECT was founded in 1986, and has successfully adapted to the erratic U.S. Solar industry ever since. As is the case with any true visionaries, co-founders Kirk Maust & Dale Gulden have found creative ways to be able to perpetuate the Solar movement in our great country, that is so critical to the long-term security and health of our beautiful planet. Kirk Maust earned one of the nation’s first degrees in solar and renewable technology in 1981. He graduated from Pennsylvania State University’s Mechanical and Nuclear Engineering Department, recognized as having the largest and most prestigious engineering degree program in North America. Together their goal is to bring solar to the masses. Dale Gulden and Kirk Maust understood how important clean energy was when it came to protecting the environment more than 30 years ago. In 1985, they formed Solar Direct, a company in Sarasota, Florida, that offers Solar and other Renewable Energy Products. Solar Direct, founded in 1986 by Kirk Maust and Dale Gulden, was a pioneering company in the solar energy industry. Maust was quite the pioneer himself, having earned one of the nation’s first degrees in solar and renewable technology. He graduated in 1981 from Pennsylvania State University. 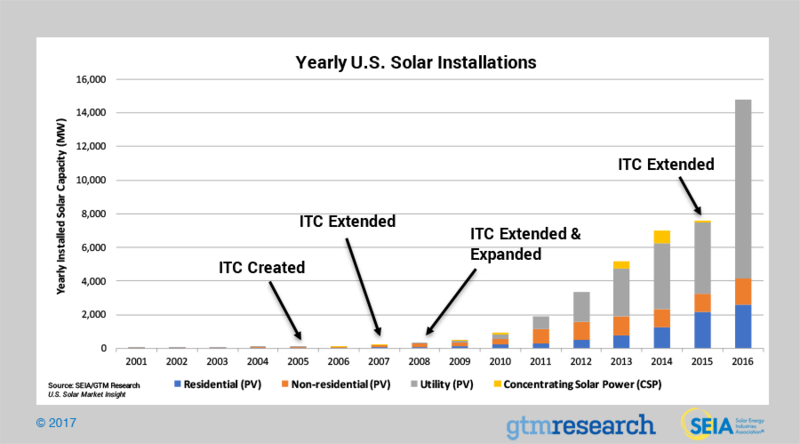 The falling cost of Solar Panels, the increasing cost of electrical power and the paltry returns being realized on Investments, in general, have suddenly made returns from Investments from Solar Power look pretty exciting. Kirk Maust, co-founder and COO of Sarasota’s Solar Direct, says businesses should start planning now for the 2012 solar rebates. Solar Direct featured for solar technology in the early 2000's. 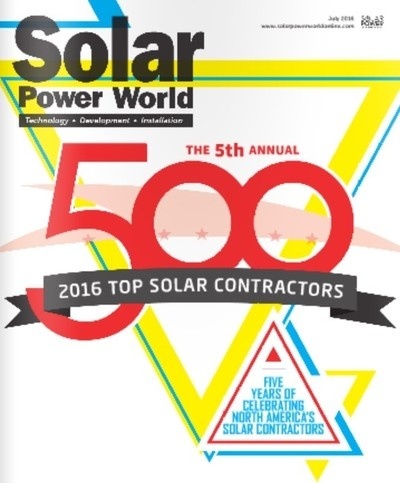 Solar Direct voted #270 in the U.S. and #12 in Florida Top Contractor. Solar Direct LLC will offer 10% additional bonus units for all investments that are committed by StartEngine Crowdfunding Inc. shareholders (with ≥ $1,000 invested in the StartEngine Reg A+ campaign) within 24 hours of the offering going live. StartEngine shareholders who have invested $1,000+ in the StartEngine Reg A+ campaign will receive a 10% bonus on this offering within a 24-hour window of their campaign launch date. This means you will receive a bonus for any units you purchase. For example, if you buy 200 Preferred Class B Units at $0.50 / unit, you will receive 20 Preferred Class B (bonus) Units, meaning you'll own 220 units for $100. Fractional shares will not be distributed and share bonuses will be determined by rounding down to the nearest whole share. This 10% Bonus is only valid for one year from the time StartEngine Crowdfunding Inc. investors receive their countersigned subscription agreement. With a FREE Solar Buyers Club (SBC) Leader Membership, you will have the opportunity to simply show other people the obvious benefits of Solar Energy solutions at this unprecedented price point. When they see the light, you see a Bonus check for helping us spread the word. This gives you the ability to indirectly control your own R.O.I. and be an active part in the Solar Revolution! A Free Club Leader membership in Solar Buyers Club (SBC) allows you to earn cash from referrals in our Affiliate Network. Receive $300 to $1,500 per successful referral, just by telling others about the benefits of going solar; plus make bonuses from people you sponsor. Learn more at SBC Spread the Word! If you chose, you can help control our success by participating in the growth process; you earn money plus build stock value. $250+ Free 6 Month Club Leader Membership in Solar Buyers Club including your own web page (Retail Value $225). * All perks occur after the offering is completed; Gift Certificates restrictions - no custom or non-stock items; s/h and/or installation not included. https://eresearch.fidelity.com/eresearch/markets_sectors/sectors/sectors_in_market.jhtml Based on Fidelity E-Research, Utilities is currently the 10th largest Industry Sector with a Market Cap of $1.32T; which includes Electric Utilities at a Market Cap of $728B with a 17.1% increase over the last year, and Independent & Renewable Electricity at a Market Cap of $86.9B with a 33.4% increase over the last year. https://www.youtube.com/watch?v=Kxryv2XrnqM&feature=youtu.be Swedbank Nordic Energy Summit 2016 and https://www.youtube.com/watch?v=2b3ttqYDwF0 Clean Energy Action 2017. Clean Dispruption of Energy and Transportation – Tony Seba, Standford University analyst and recipient of the Clean Energy Action 2017 Sunshine Award. http://fortune.com/2016/04/16/ray-kurzweil-solar-will-dominate-energy-within-12-years Additional source by Ray Kurzweil "Here's Why Solar Will Dominate Energy Within 12 Years". Solar Direct LLC – Statement of Operations: Sales & Marketing expenses were $209k in 2015 and $40k in 2017, a reduction of 81%. This resulted from our business model innovation “Solar Buyers Club” customer acquisition engine. https://www.youtube.com/watch?v=Hv2XeSrEbnc Visionary Debate “STOP linear thinking solar guys! Now is time for exponential growth” held in San Francisco on Solar Leaders TV Stage at Intersolar North America 2017; the following visionaries: Tony Seba (a serial Silicon Valley entrepreneur, and an instructor in Entrepreneurship, Disruption and Clean Energy at Stanford), Eckhart Gouras, JD., Managing Director of pv magazine group. They discuss the unstoppable exponential growth of solar, and how it will replace the electric utility monopoly empire, which could quite possibly create the biggest transfer of wealth the planet has ever seen. “For solar, for batteries…we are on the cusp of the most transformative disruption in history since the industrial revolution”, Tony Seba (11:55). Based on Seba's analysis, we believe their will be a disruption which will create opportunities similar in nature to the California Gold Rush in the mid 1800's. 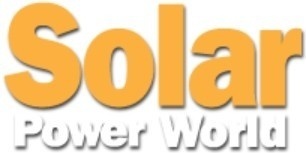 Solar Direct and its predecessor entity has been operational for over 32 years giving long term business acumen in the solar industry; due to the imposing tipping point in which the market may disrupt and possibly explode based on Tony Seba’s research, Solar Direct has created a business model innovation “Solar-to-Scale” which is a possible ground floor opportunity. You can also help to control your own ROI by simple passive or active involvement. Investors receive a free limited Solar Leader Membership in the Solar Buyers Club (SBC) as a perk. Passive involvement, promoting SBC to friends and family, can result in additional income from referrals and also bonus funds from SBC Leaders within your affiliate network. Also see  and . 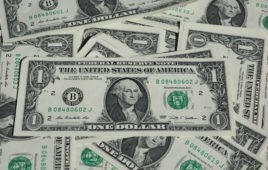 https://www.investopedia.com/terms/p/passiveincome.asp Money being earned regularly with little or no effort on the part of the person who’s receiving it. Simple word of mouth and use of social networks spreading the word about the benefits of going solar via the Solar Buyers Club. This unique option provides the opportunity to earn back a portion or all of the invested cash or more, while keeping your equity stake. In other words, any funds earned from referrals and/or bonuses in the SBC could indirectly offset the funds used to purchase investment units. “Simply signing up as a Solar Buyers Club Leader will not guarantee you any success. Like everything else in life, the path to success requires hard work, discipline, passionate persistence, time management, creativity and a razor blade focus on where you want to go if you ever want to succeed. Not every Club Leader will make money and/or a profit. Your success will depend on you and how much you put into it”. http://lotg.solarbuyers.club/Compensation-Plan/?mitem=28244 Investment Units will not be directly affected by SBC earnings or lack thereof; units purchased remain the property of the owner regardless of involvement or non-involvement in the SBC option. You can effectively improve your ROI of the funds used to purchase Investment Units by offsetting the purchase cost with funds earned via the SBC. Earning subject to income taxation; seek advice from your accountant. https://en.wikipedia.org/wiki/An_Inconvenient_Sequel:_Truth_to_Power An Inconvenient Sequel: Truth to Power. The majority of consumers who purchase solar use a "solar loan". Many solar contractors and marketers would have consumers think that the loan payment will be less than the electric bill, but this most often is not the case. A typical system size is 10kW, and based on research by this third-party industry leader Energy-Sage, funded by the U.S. Department of Energy, the average installed price is $31,571; after 30% Federal Tax Credit, the loan amount is $22,100. A typical system saves $150.25 per month according to the government site PVWatts. Based on Dividend Solar, a national solar lender, the payment for this sample system would be $151.83 per month (at 4.99APR; rates and payment amounts will vary based on credit score and other factors, so the monthly payment can vary - some consumers will have savings below the utility bill and others may pay more). https://www.energysage.com/solar/financing/solar-loans The amount you want to pay each month will impact the interest rate and the length of the loan. Loans with longer terms will have smaller monthly payments, but you will pay more in interest over the life of the loan. In contrast, payments on solar energy loans with shorter terms may exceed your monthly utility bill savings, but they offer a better value because you pay less in interest over the life of the loan. The Company might incur Irregular Use of Proceeds that may include but are not limited to the following over $10,000: Vendor payments and salary made to one's self, a friend or relative; Any expense labeled "Administration Expenses" that is not strictly for administrative purposes; Any expense labeled "Travel and Entertainment"; Any expense that is for the purposes of inter-company debt or back payments. As you might know, Solar Direct has exceeded its minimum funding goal. When a company reaches its minimum on StartEngine, it's about to begin withdrawing funds. If you invested in Solar Direct be on the lookout for an email that describes more about the disbursement process. When live offerings undergo changes like these on StartEngine, the SEC requires that certain investments be reconfirmed. If your investment requires reconfirmation, you will be contacted by StartEngine via email with further instructions. This has been a very exciting year for Solar Direct. After our Start Engine launch last December, we dedicated much of our time in the first quarter of 2018 to finalizing our BETA version of the Solar Buyers Club (SBC) - both the website and the back-end. After the official launch in April, we began to see steady growth of new members and SBC Leaders. By the end of the second quarter, momentum really started to build, with a dramatic increase in both members and SBC leaders - this has resulted in an explosive growth of sales. Our focus over the last 6 months has been on developing sales and the behind the scenes structure to meet our projections; this dedication of resources has negatively resulted in less time working with the Start Engine campaign; and if you are not aware, raising capital, even with Crowd Funding, takes a lot of effect. Consequently we have had to extend our campaign and plan to push to meet our initial goal of $107,000 by the end of this year. We have re-invested funds from sales into continued expansion, and the results are paying off. As you can see below, sales units doubled from calendar 2016 over 2017; however 2018 shows the impact from our new Solar-to-Scale Accelerator plus Solar Buyers Club Platform efforts. The results are stunning, as we forge our way into a new energy frontier. This growth is all coming from our Solar Buyers Club - all while we reduced advertising & marketing costs over 80% from the previous year! We are looking forward to more exponential growth, and want to thank all our investors for their confidence in our exciting plan. Solar Direct has extended their campaign 60 days. Solar Direct LLC has extended their campaign. Solar Direct has extended their offering to end on July 17th, 2018. We've all seen tiny homes, and understand the concept of downsizing. Wouldn't it be great to find a way to recycle something into an actual home dwelling? The world has been cluttered with shipping containers making their way across the sea, that often never find a return trip to the source. Over the past five or six years, shipping containers have become an object of excitement over converting them into housing, restaurants, shopping malls, you name it! Now take this great idea, and put it in the hands of the worlds fastest growing solar company, using the most powerful and longest lasting batteries on the planet, and out comes self contained, self powered housing, ready-ship to anywhere! Dale Gulden of Solar Direct is assembling a team effort with solar panel installation, Sonnen Batteries, Rainwater catchment, bio-gas fuel generation, LED lighting, composting toilets, and the most efficient appliances available. We're using local labor, lumber, and supplies to bolster the economy near the installation points, and to better the lives of the local community. The steel construction lends itself to be earthquake, hail, tornado, and hurricane resistant, yet economical to ship or move into place. In places where grid power is struggling to maintain consistency, technology has made it possible and now has obsoleted the need for public grid growth. Self-sustaining communities can now be free to grow without fear of polluting the waters or cluttering views with ugly power line installations. Self-contained housing makes disaster recovery a much simpler task, and paves the way to a stable, independent, rewarding home experience like never before. Contact Solar Direct Today to bring this concept to your community development! 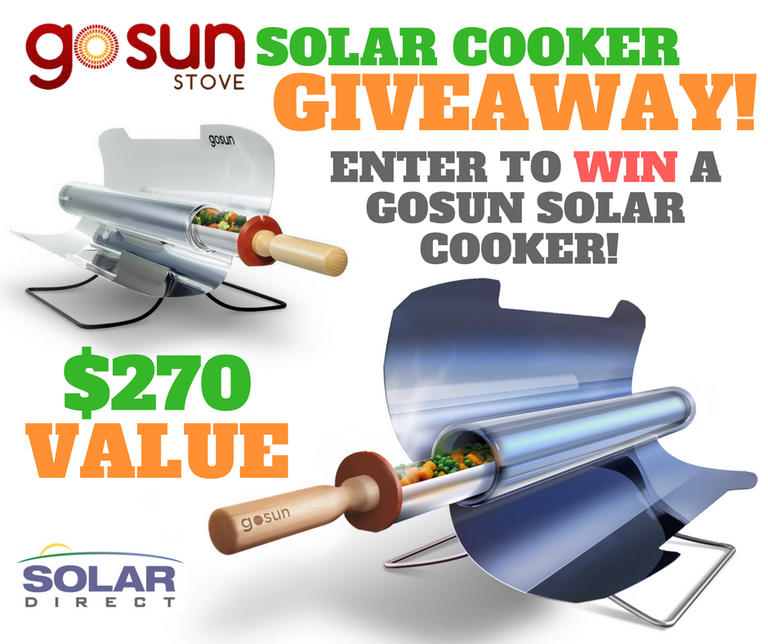 Enter to win a free GoSun Sport Solar Cooker! Click on the link below to learn how to enter the competition. We are giving away prizes to help spead the word about our Start Engine investment campaign - watch for more contests coming soon. Solar Direct LLC is extending their campaign for 60 days. We are proud to announce that we recently signed a Strategic Relationship Agreement with Mercedes Benz Energy to become a certified Mercedes Benz Energy Storage Installer and Distributor in the South East United States. The Mercedes home battery has been available in Europe and South Africa for some time; however, the company’s entry into the U.S. market is relatively recent. Currently, the battery is only available in selected markets in California. The battery will become available around June/July 2018 through Solar Direct in the South East. 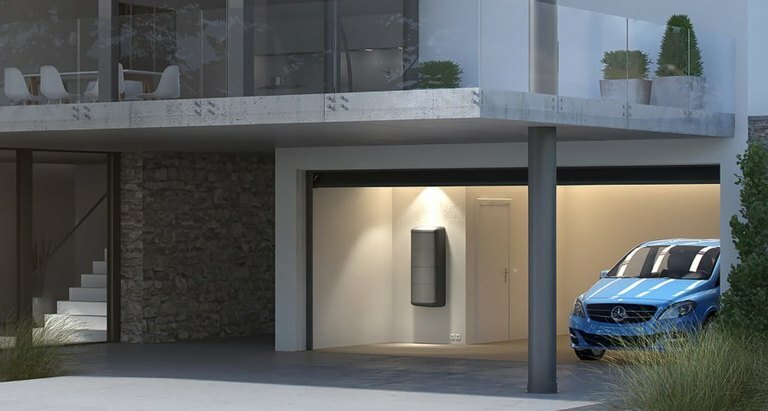 Mercedes is one of a few companies in the residential energy storage market that manufactures small-scale lithium ion batteries for home energy storage. As a manufacturer of electric and hybrid vehicles, Mercedes has invested significant resources into developing a safe, long-lasting battery worthy of the luxury car company’s brand. 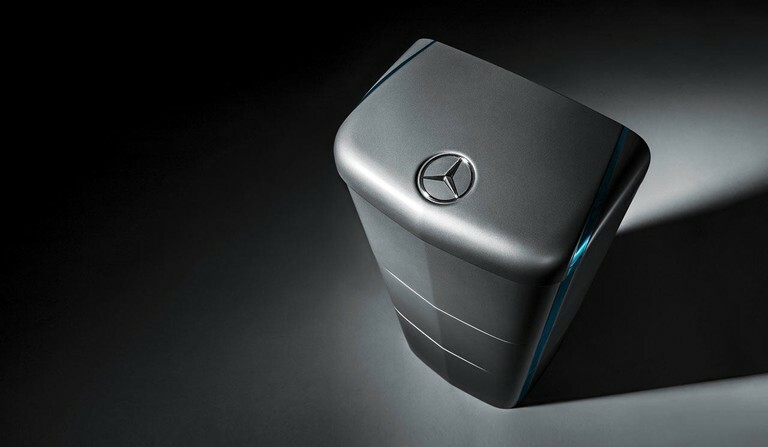 Mercedes’ entry into home energy storage is another way to bring its battery technology to the market. 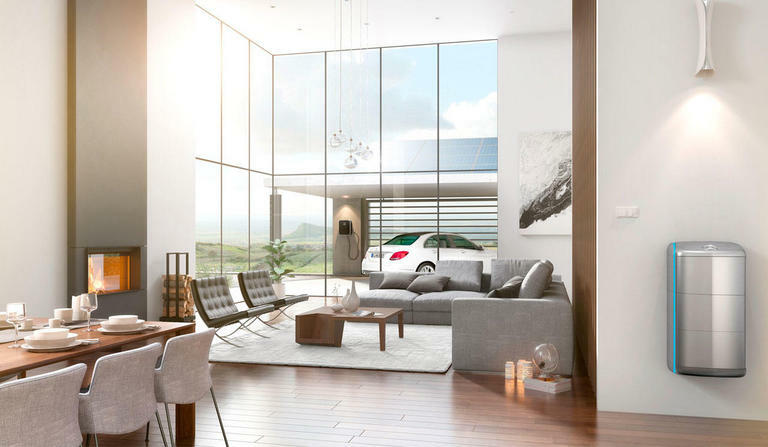 But whether you want to install a Mercedes solar battery or other home battery solutions, adding energy storage technology to your home is a complicated process that requires electrical expertise, certifications, and knowledge of the best practices required to install a solar-plus-storage system correctly. Solar Direct is a qualified, certified, licensed and insured Solar and Electrical Contractor, and can give you the best recommendation about the Mercedes home battery and other energy storage options available to you today. If you are interested in receiving an individual installation quote for solar and energy storage options from us, simply join the Solar Buyers Club as a Member for Free today and indicate what products you’re interested in. SARASOTA, Florida – January 19, 2018 – Solar Direct and subsidiary Solar Buyers Club LLC (SBC) announced today expansion into Pennsylvania, New Jersey and Delaware. SBC entered into a licensing agreement with KISS Electric LLC, an experienced electrical & solar contracting firm since 2003, to provide solar for residential and commercial projects throughout the Tri-State area. 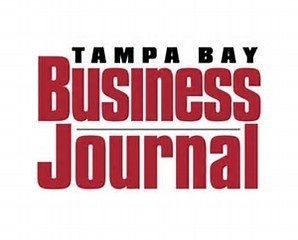 Nationwide members of SBC are now able to expand their networks into this area, and provide customers solar installations at our extremely competitive price point”, states Jason Tomczyk, Co-Founder and CEO of the Solar Buyers Club. Just how big of a “Gold Rush”? Ray Kurzweil – one of the leading thinkers when it comes to the future of technology, and Analyst Tona Seba from Stanford University, agree that the solar and battery storage industries are about to explode. Both predict that these technologies will go from 2% to nearly 100% market penetration within the next 10-12 years, providing electrical power and almost entirely eliminating the need for fossil fuels. The technology already exists to fulfill these predictions. “For solar, for batteries…we are on the cusp of the most transformative disruption in history since the industrial revolution”, Tony Seba. According to Seba, solar will continue to double each two years, so by the year 2020 the industry should have a market value of approximately $32B. 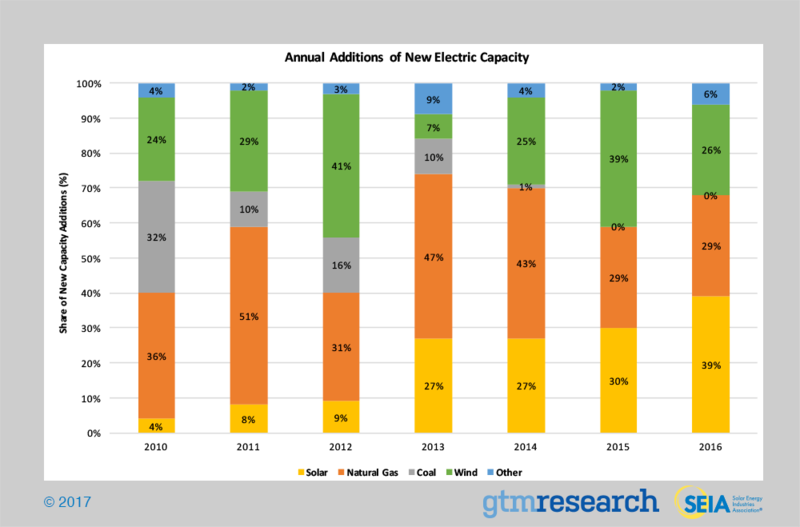 The Battery Energy Storage market is fast becoming equally as large. A core component of their accelerator strategy was launched earlier in April 2017; a Customer Acquisition Engine, SolarBuyers.Club. 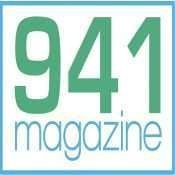 This platform uses social media and grass-roots people-power to capture a new wave of entrepreneurial spirit – where average people can tap into the greatest transfer of wealth in history. Members (individuals, groups and businesses) earn cash rewards for spreading the word about the advantages of solar. The platform has already driven acquisition costs down over 80% - just one way the strategy is driving down the retail cost. The unique selling proposition provides consumers the ability to pay dramatically less for solar than the status quo of paying the Power Company – offering them the possibility of significant positive cash flow plus the other great benefits of going solar from day one. It’s no longer a matter of being able to afford solar, now you can’t afford not to go solar. 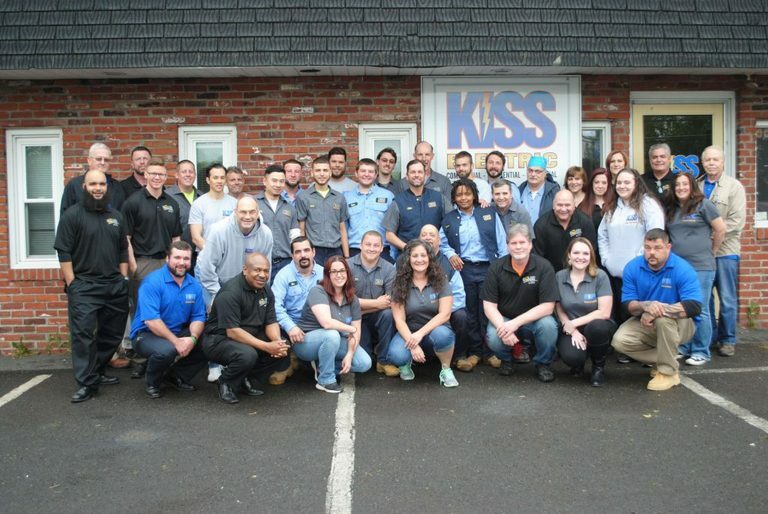 About Kiss Electric LLC: NABCEP and PA Certified Sunshine Program solar & electrical contractor; trained and experienced crews can complete any job from small residential and commercial construction to large industrial installations. 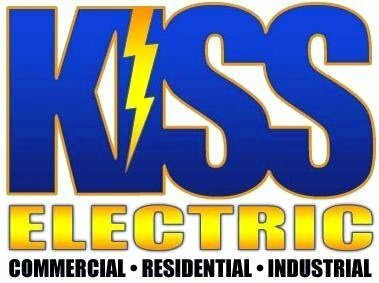 Kiss Electric currently employees over 50 people and serves PA, NJ and DE. 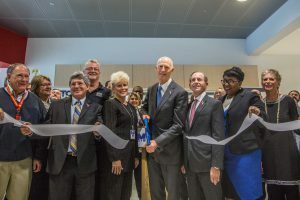 Solar Direct selected for Manatee Technical College training program – Florida Governor provides grant funds to launch program. 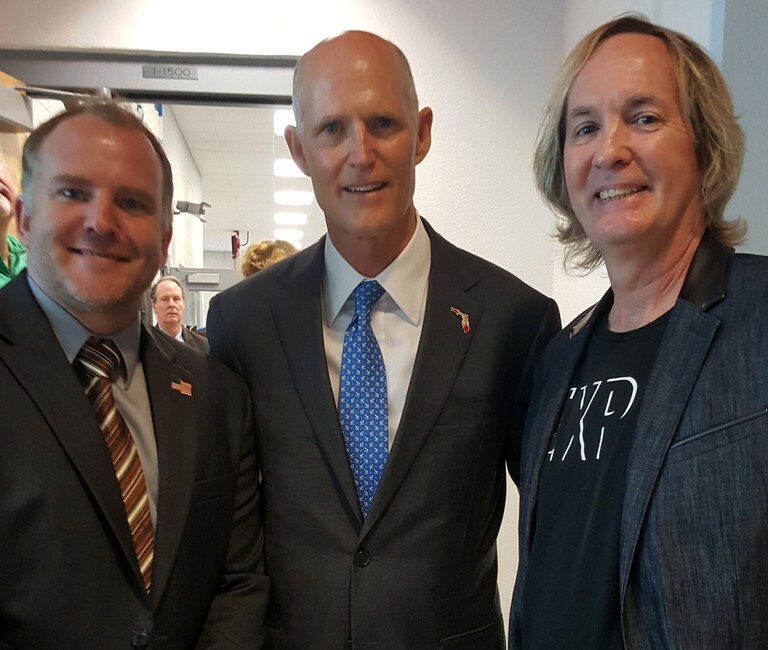 BRADENTON, Fla. – Today, Governor Rick Scott visited Manatee Technical College to announce that the college will be awarded the first $201,500 grant from the Florida Job Growth Grant Fund from the Florida Department of Economic Opportunity (DEO). This funding will support the purchase of high-tech equipment needed to expand the workforce training program in Advanced Manufacturing and Production Technology, which will help prepare more students for future career opportunities. As part of the program, Solar Direct was selected to provide training for students to enter into the growing solar industry. Recent reports indicate that Solar Employs More People In U.S. Electricity Generation Than Oil, Coal And Gas Combined. Solar Direct will provide solar PV electric and solar thermal equipment for the students to install at the school as part of the training – giving them hands on experience. Kirk Maust, Solar Direct CEO and Senior Engineer will provide two 12 week courses, and also provide Train-the-Trainer guidance to some of the advanced students and teachers so that they can offer continuing classes to upcoming students. 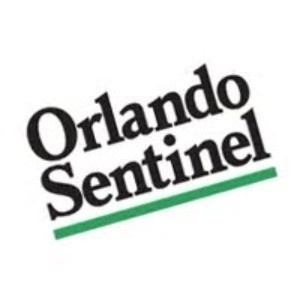 Solar Direct is proud to help with community outreach, and is currently looking at similar programs with other Florida technical schools. Gov. Scott took time to meet Kirk Maust and Oliver Baumgart, CSO of Solar Direct, to discuss the solar industry. He asked how national policies were affecting the industry here in Florida. We were happy to report that the Federal ITC (Investment Tax Credit) was up- held in the new Tax Package, which means consumers and businesses can continue to take advantage of the 30% Tax Credit on solar into 2020 and beyond. We also discussed the current Trade Case pending President Trump’s decision, in which a tariff could be imposed on imported solar modules – this could have a slight negative impact on Roof-top Solar in the short term. Scott said that he felt Trump would make the right decision. 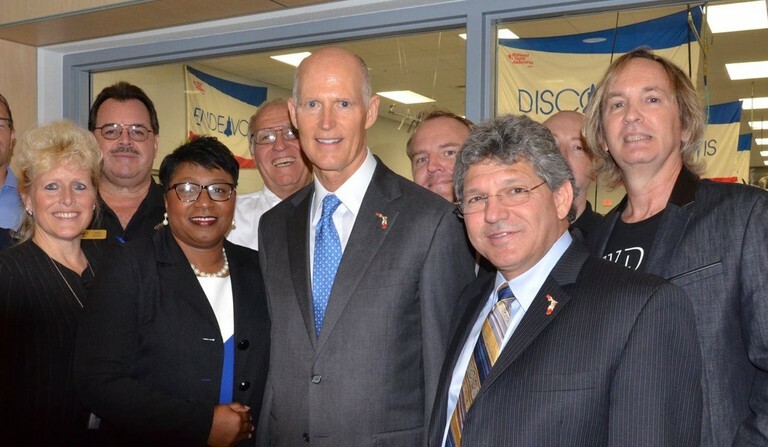 On the top of Scott’s agenda are jobs for Florida. He strongly supports programs such as this, including solar, that can help move students into the workforce. As Solar Direct continues to grow, the need for skilled technicians will be a top priority – and community training programs will help to fill that gap. This week on Crowditz.com (Crowdfunding Data, Analytics, and Insights), Solar Direct hit #41 out of #226 for most raised this week on the top nine Fund Raising online platforms. We also got a nice feature story on their site. We have had some questions about our growth potential. Here are some details from our Offering Memorandum. Management currently forecasts 2018 and 2019 revenue of $9.3 million and $31.9 million, respectively. Given growth and investment, our Net Income projections for 2018 and 2019 are $819,546 (8.81% and $4,992,898 (15.65%), respectively. If the company reaches its revenue and funding goals in 2019, we anticipate the Unit Share price to reach $1.53 (current value $0.50), a potential increase of approximately 3x. Our plan exercises aggressive yet controlled growth; as you can see in our Sales Projections from the Offering Memorandum, we plan to expand into four additional states in the second and third year in order to rapidly scale up. We have used a conservative linear growth model, even though market analysts project an exponential growth curve. More insight into why Solar is Growing Way Faster than predicted, from Ray Kurzweil – a legendary futurist with a long track record of successfully predicting the growth of technology. Our Solar-to-Scale “Solar & Storage” Accelerator is poised to take full advantage of this new and exciting trend. 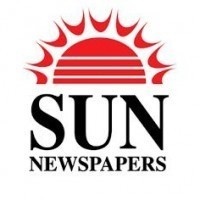 Turning his attention to solar, Kurzweil said four years ago Google founder Larry Page and he were asked by the National Academy of Engineering to study emerging energy technologies. The men selected solar due to its exponential growth. Kurzweil said solar has been around for over 25 years, and its market share has doubled every two years. Met our first goal !!! After only a week, we have met our first goal of $10,000. A big Thanks to our first investors!! We are on our way to the next big milestone of $100k. At Solar Direct, we like to walk the walk. In 2014, we installed our own solar photovoltaic system, which produces more power than we actually use! We give back over $3000 per year in excess electricity to the power grid. Our Leaders in the Solar Buyers Club are an entrepreneurial bunch. David Webster created a video to promote using solar and battery storage for disaster preparedness targeting hurricane areas; of course it applies to most anyone anywhere that is concerned about losing power. David is also founder of FaceBook's Living Off The Grid page with ~1,000,000 followers. He is a Member of Solar Direct and SBC, and provides his marketing and promotional talents to help us grow and spread the word. Our campaign launched late Tuesday and we are already getting investors on-board... a big thanks to our early adopters! 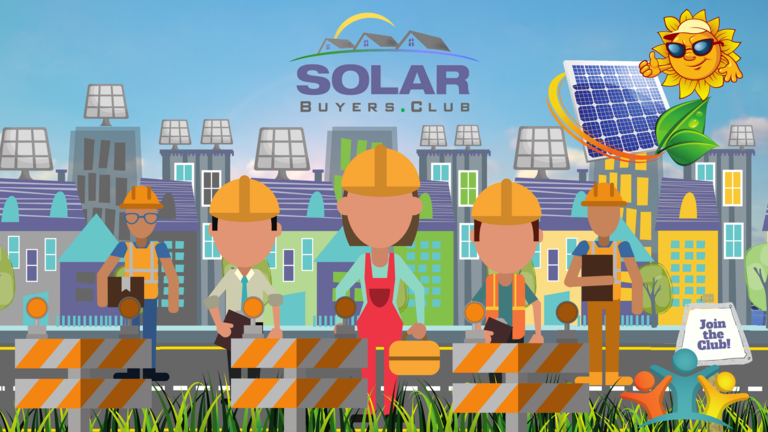 We also just released a brand new Explainer Video for the SolarBuyers.Club website home page to help users quickly understand how the Solar Buyers Club can work for them. You can see it here YouTube or on the SBC page.